Powered by 1.2 Litre K Series Engine in 5 Speed Manual Transmission, peak power output is 84.3 PS with torque of 115 NM. Descent Aerodynamics Style with Good Tall Looks, along with all new Heartect Platform makes the Engine Pep makes it real fun to drive. 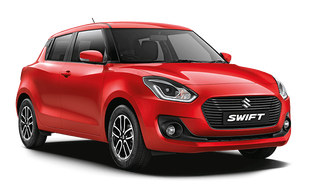 Want to Know More on Performance, Reviews, Features, Dealers of Maruti Suzuki Swift Car.